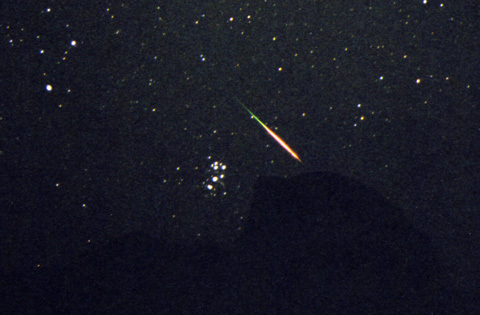 Sky watchers at clear dark-sky viewing locations observed 60 to 80 meteors per hour during the peak of the annual Perseid meteor shower on August 11 and 12, 2004. A close encounter of a bright and colorful Perseid with the Pleiades can be seen in this image right above the silhouette of Yosemite's prominent Half Dome. 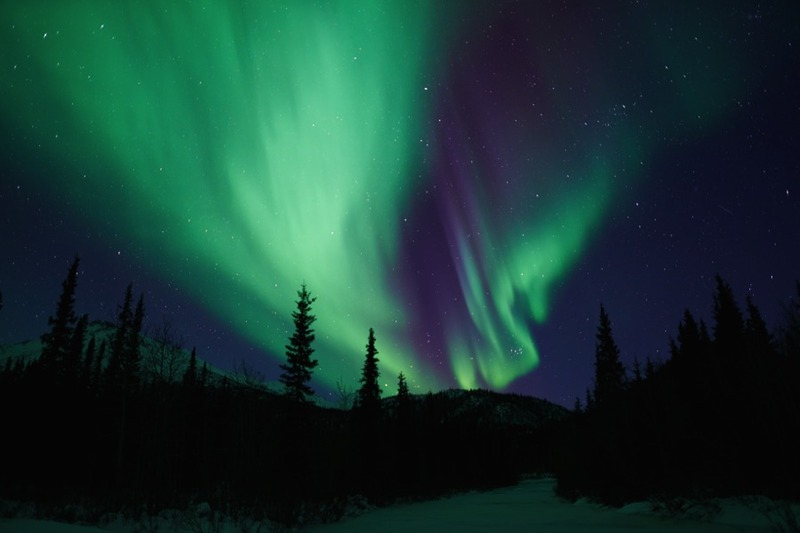 Visit the Aurora Photo Print Gallery to see the latest images! 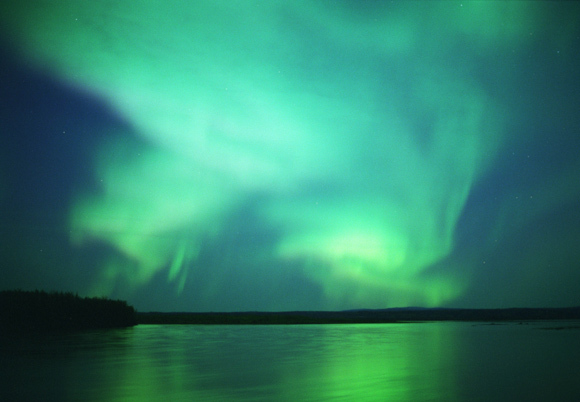 All images at borealis2000.com © 2000 - 2019 Dirk Obudzinski - All rights reserved.